Be Bop a Lula is a real doozer of a stage show and you can see it at Rothes Halls on Thursday 4th April! Relive the tours responsible for introducing rock'n'roll to the UK in the company of incredible singers and a band tighter than a pair of your tightest drainpipe trousers. 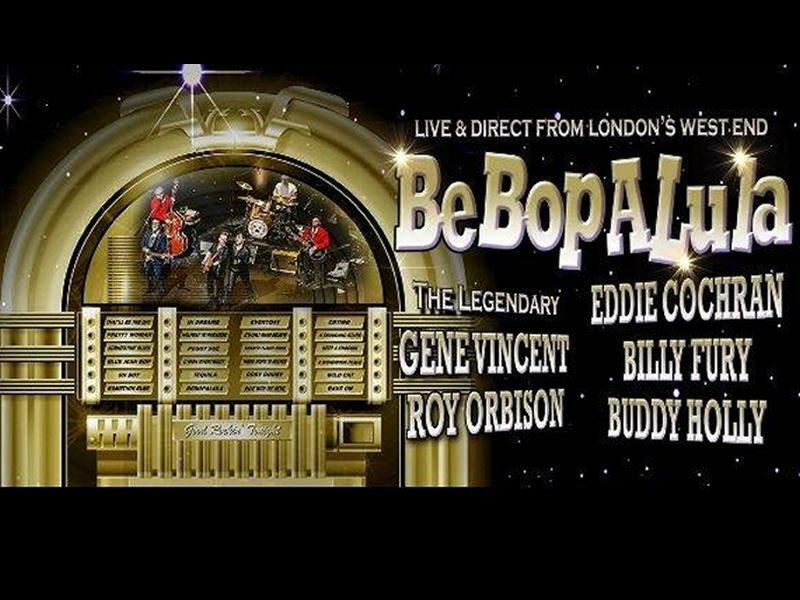 From Eddie Cochran's legendary guitar riffs, Gene Vincent's menacingly moody stage presence, Billy Fury's smouldering looks and soaring vocals and Buddy Holly's good-time rock'n'roll, Be Bop a Lula is a real doozer of a stage show. While we take every opportunity to ensure the details for Be Bop A Lula are accurate, we always advise that you contact the event organiser before setting out for the event to avoid disapointment.